It’s time for another sale at Wilkins RV and this time we’re clearing out our pre-owned fifth wheels! Visit one of our two locations for great deals starting as low as $9,998. Plus, if you’re heading to our Bath Location, not only will you drive away with a gorgeous pre-owned fifth wheel hitched to your truck, you’ll also receive your chose of a Powerhouse 1000 Watt Generator or a Yeti 65 Tundra cooler — perfect for these weeks of summer. This 2015 Heartland Silverado 38QBS is loaded with the features you deserve while traveling, all packed into a stunning fifth wheel. 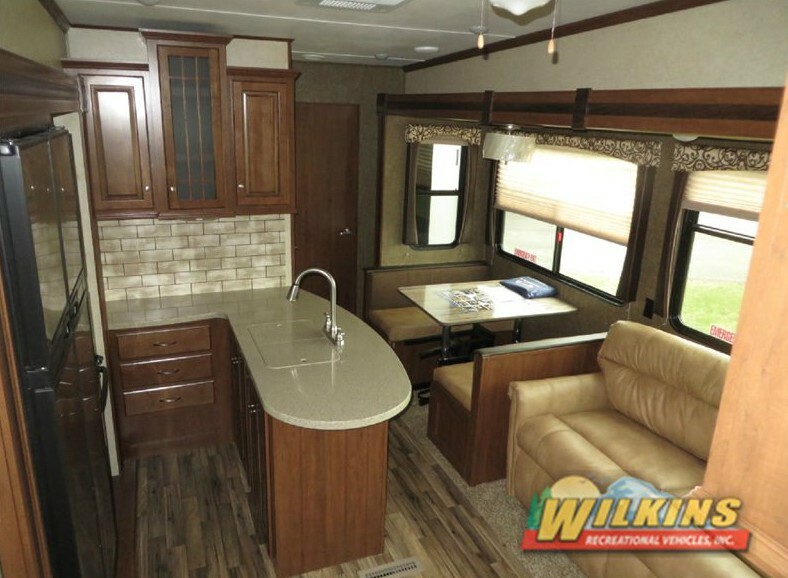 Stepping inside the galley feels like stepping into a home, and with fine decor touches like a plush, bonded leather sofa, fine cabinetry throughout, and stainless kitchen appliances, you’ll feel like royalty traveling in this fifth wheel. Perfect for relaxing while watching a movie on the 50″ television, or for trying out some new recipes in the exterior kitchen, the 2015 Heartland Silverado 38QBS is designed to impress. 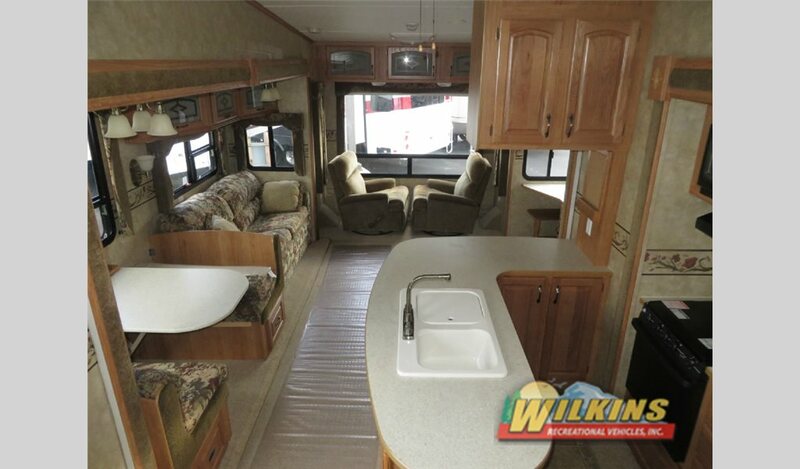 The 2009 Open Range RV 337RLS is spacious and bright and will be a perfect addition to your next vacation. Sturdy and constructed of durable materials, you’ll be taking this fifth wheel out for years to come. 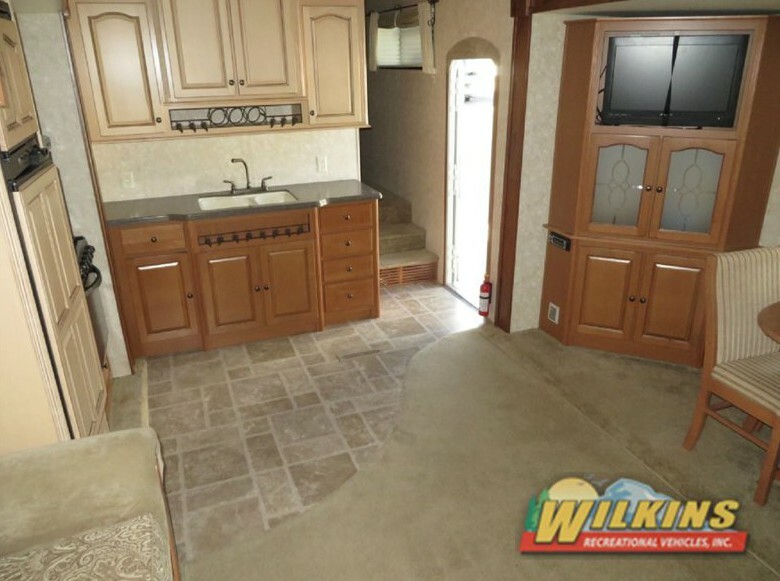 Visit our Bath location to see this beautiful pre-owned fifth wheel that’s ready for your personal touch. Also at our Bath location, you’ll find the 2008 Jayco Eagle 341 RLQS. Built to last and designed to please, this fifth wheel is loaded storage and ready to hitch up. 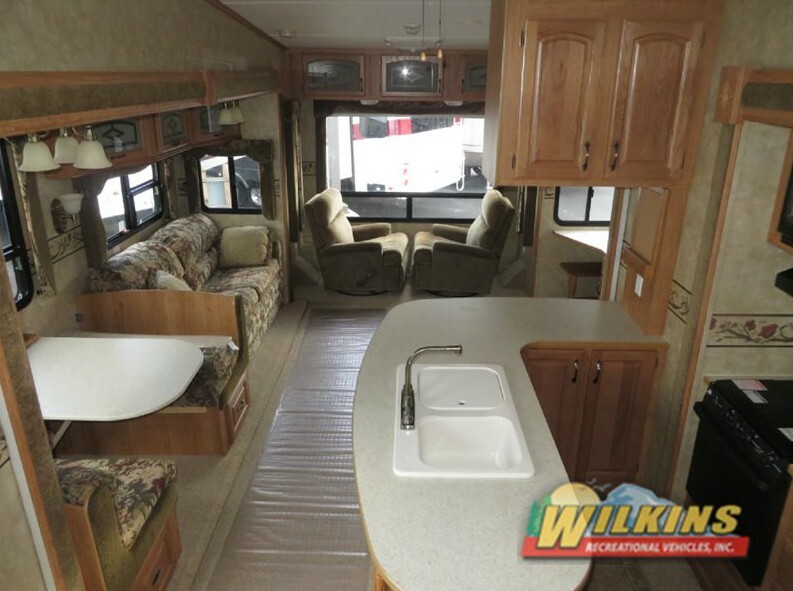 There is so much space in this fifth wheel thanks to its open layout and those gorgeous windows. With the space to sleep eight, the Jayco Eagle 341RLQS is perfect for families. With over 80 pre-owned fifth wheels to choose from at our Pre-Owned Fifth Wheel Blowout Sale we’ve got these and so much more to see! Visit one of our two locations today to take a look around.